This NHCU renovation project focused on converting an existing nursing home wing into a Dementia Unit. 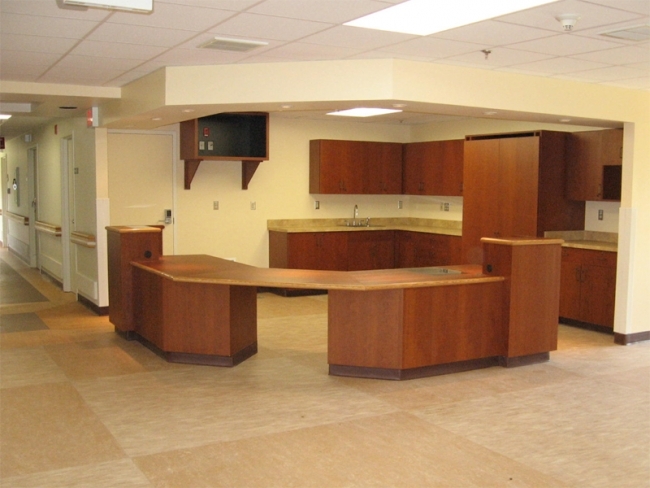 The renovation included a new dining area, a new gathering area, a new barbershop, and a new nurses’ station. The finishes designed to resemble a residential home as much as possible for the comfort of the patients.